The arguments for decriminalizing marijuana are hazier than they might seem. 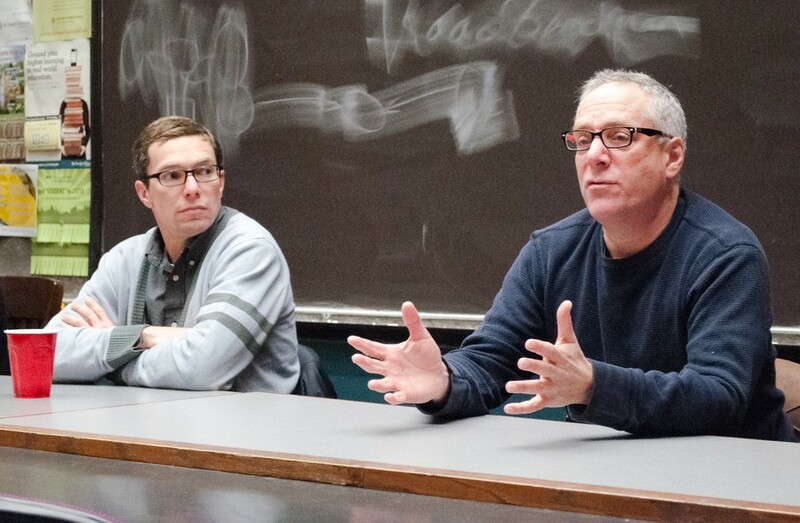 Journalists and public policy experts touched on the racial discrepancies and high costs in Chicago’s drug enforcement regimen as reasons for legalization, while explaining how history and bureaucracy prove to be stubborn barriers to progress on the issue, at a talk hosted by Students for Correctional Reform Now (SCORN) yesterday evening. In a series of articles in the Chicago Reader, reporters Ben Joravsky and Mick Dumke found that the majority of people arrested for possession of marijuana are black, even though the drug is likely used at similar levels among all racial groups. Dumke and Joravsky also cited the estimated cost of enforcement at $78 million per year, not including the time officers spend prosecuting each case. The panelists listed several barriers blocking legalization from occurring now. Part of the problem, Public Policy Studies Director Jim Leitzel said, is that marijuana and other drugs have now been illegal for so long that no one remembers a model for legalization. He contrasted it with the short-lived Prohibition in the 1920s, when people still remembered what it was like before alcohol was illegal. Additionally, politicians are reluctant to position themselves in favor of legalization when they have little to gain. “It’s not a make-or-break issue for most people,” Dumke said. There are also incentives for police officers to continue the current policy, because they can find suspects with relative ease and get paid overtime for waiting in court for the case to be heard. The money spent on arrests supports jobs for clerks, bailiffs, security guards, and other courthouse workers. At the end of the talk, Joravsky asked members of the audience to raise their hands if they opposed legalization. Nobody did.